One of the first signs of spring in our garden is found in these blooming camellias. The dry winter we had made them especially beautiful this year with a profusion of flowers on every bush. They are very fragile but make stunning arrangements when held in a shallow vase or bowl. 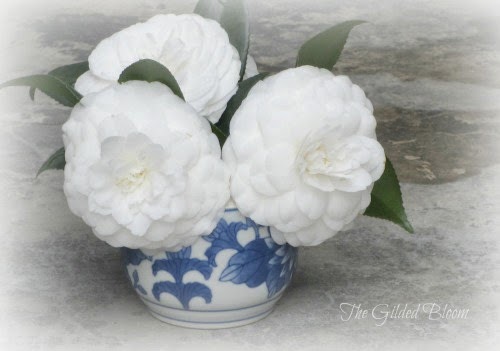 Here are two recent photos taken of our pink and white camellia varieties before they were gifted to friends and neighbors. After all, the greatest joy is sharing them! 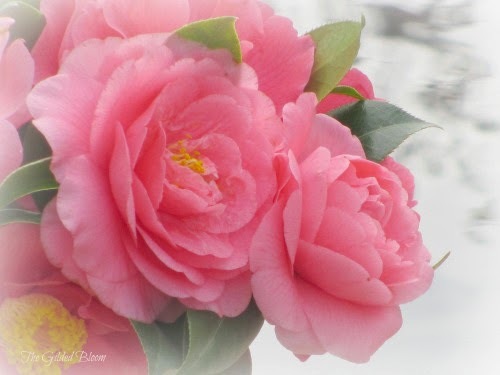 What beautiful photos of your camellias Lisa - I am finding them a really hard flower to capture. Do you know the name of the pink one - it is very pretty.